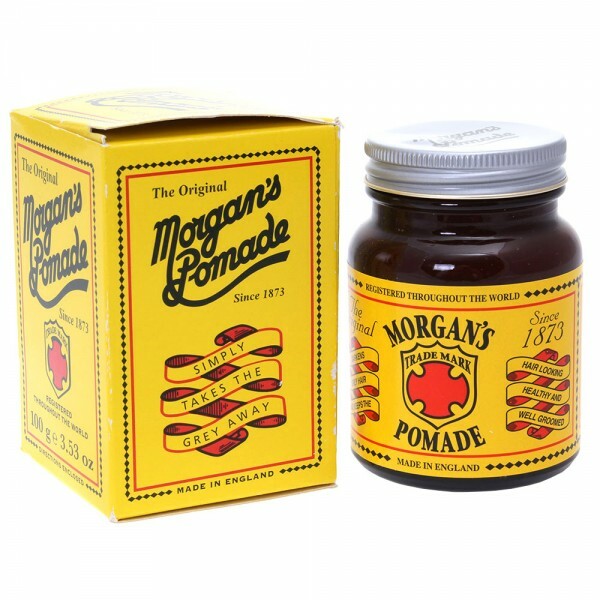 The Original Morgan's Pomade Morgan's Hair Darkening range gives a naturally healthy choice to those that wish to maintain a darker hair color. Now it is no longer necessary to expose your hair and skin to instant dyes containing harsh bleaching agents and chemicals but to simply indulge it with a natural blend of herbs, vitamins and essential oils. Morgan's works by stimulating the naturally present amino acids in the hair with organic Bismuth, a vital earth element, the hair gradually darkens. Using Morgan's gently treats your hair to an infusion of Essential Oils and Organic Herb extracts such as Chamomile and Cornflower giving it new life and vitality. The presence of vitamin rich Panthenol and Wheat Germ Oil gives deep rooted lustra and shine in all types of hair creating a whole new feeling of health and well being.